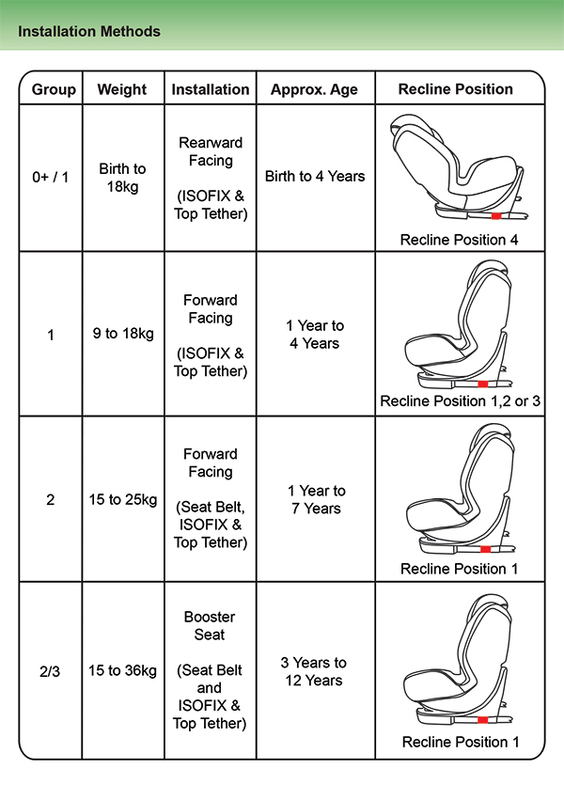 The Dolphin combines all 4 stages into one Child Restraint System. It can be used as an Extended Rear Facing Seat installed with ISOFIX & Top Tether. when installed with ISOFIX, Top Tether and Vehicle Seat Belt.